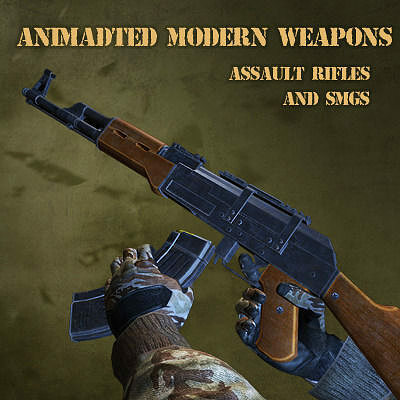 Animated Modern Weapons + Arms (SMG and Assault) contains 10 realistic high quality low poly with high resolution textures weapons models, animated with the hands for 1st person shooter. Sound effects for the weapons are also included. With this pack, you will be able to start making your FPS game in no time! Textures are up to 2048*2048. Weapons + arms polycount are between 10000 and 14500 tris depending on the models. Bonus: Knife included for deadly melee attack!